ATTENTION BUILDERS/INVESTORS. 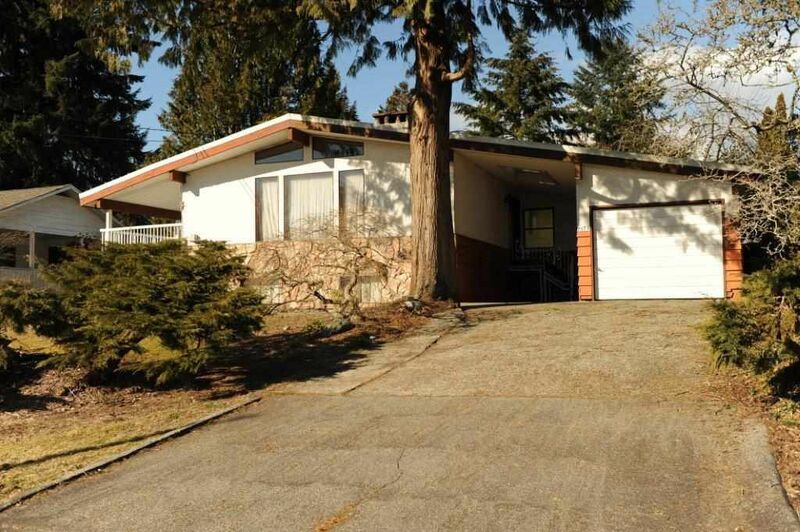 Bright and Clean Rancher with basement on a large 10,160 Sq ft lot. Features 4 bedrooms, 3 bathrooms, kitchen with eating area and skylight, living room with wood fireplace and vaulted ceiling, dining room with sliding doors leading to the sundeck. Original hardwood floor on the main floor in excellent condition. Master Bdrm with powder room. Basement is updated with new carpets, bathroom, rec room, bedroom & laundry room. Basement has a workshop or storage and could easily be converted to a suite. Single garage plus a carport. Room for RV parking & lane access in the back. Great Location close to schools, shopping, parks and transportation.